Jan Verhoeven v.o.f. 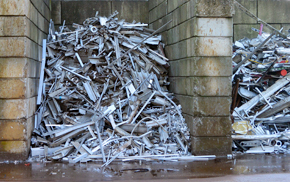 processes and prepairs all metals for recycling purposes. Welcome to the website of Jan Verhoeven v.o.f. Since the foundation in 1993 private persons as well as businesses know how to find us when it comes to purchasing iron, (mixed) metals. 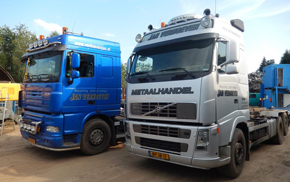 Our service goes further than just purchasement, also for container placement (free of charge) and various transportation options you have found to the right address. Large or small ammounts, it does not matter. Depending on the ammount and type of transport the offered products/goods are wayed on a small scale or weight bridge. 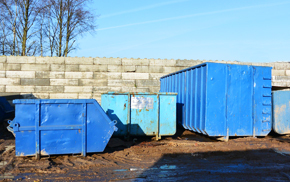 For demolition or building projects Jan Verhoeven offers containers free of charge. Various container types are possible to order as well as the volume ammounts. Jan Verhoeven has all permits for tramsporting and gathering (old) iron and metals. 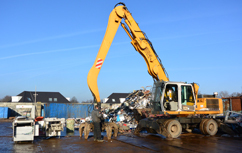 Therefor the range of duty is extended to Belgium and Germany as well.